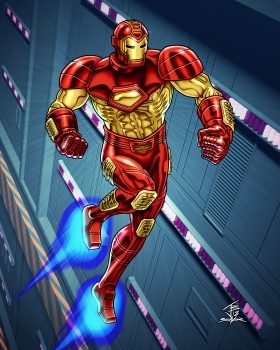 This is Iron Man in his "Modular Armor," the same armor seen in the 1990's Iron Man cartoon, toy line and Capcom video games. 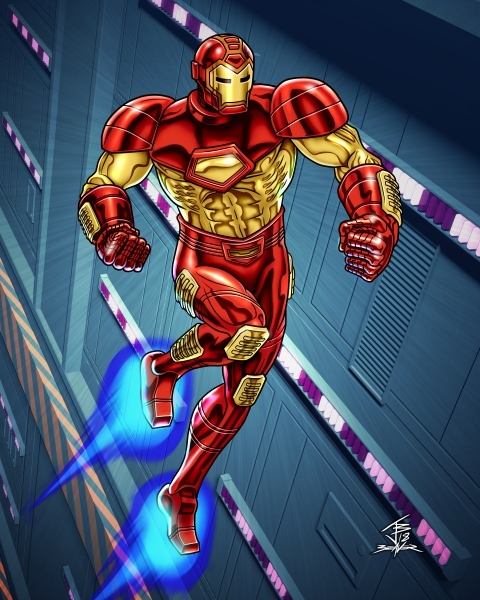 Iron Man was inked in Clip Studio and colored in Paint Shop Pro, while the background was made from scratch in Blender. I'd never drawn this much solid shading and lighting in Clip Studio before (still got that mental disconnect drawing on a non-monitor tablet), but I like how it turned out. 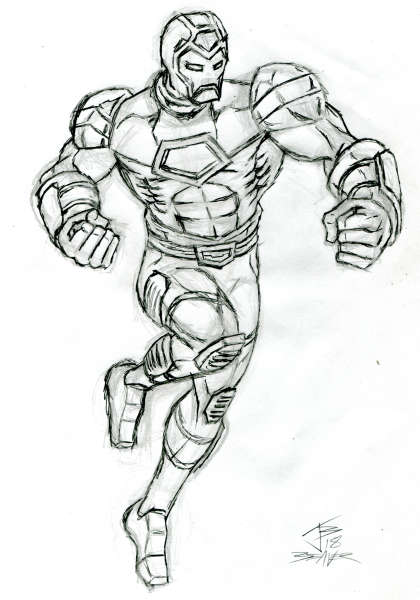 Still need to make some adjustments, though.